To celebrate its 10-year anniversary (didn’t that fly by? 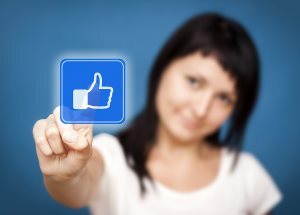 ), Mark Zuckerberg and the Facebook team created personalized “Look Back” videos for the social networking sites users. The 62-second videos are a compilation of users’ most “liked” pictures and statuses set to “reflective” music. It starts by saying, “You joined Facebook in ____ year,” and then proceeds to chronologically visually display your Facebook life over the years. I had the opportunity to watch my short “Facebook life” video and was quite delighted after doing so. Of course, looking back through old photos and captions was met with many laughs, “awes” and a few, “what was I thinking” moments. But, overall, I really liked this trip down memory lane and applaud Zuckerberg and the Facebook team for this concept. Then it of course led me to think, I wonder what would happen if companies incorporated this concept into their engagement strategies? Just as Zuckerberg wanted to commemorate Facebook’s 10-year anniversary by looking back at its growth, businesses can do the same for its employees. Now, of course, creating 62-second videos for a massive amount of employees may not be possible for larger businesses, but if you have a small business with only a few employees, why not? If your business is medium-to-large sized, perhaps you can put together a team to create some kind of “Look Back” for a particular department or team. The video can include employees’ photos, pictures of team outings, the best quotes from workers over the years and highlights of that team’s or department’s major accomplishments. Or let’s say your business wants to recognize an employee for all of his/her hard work. I think this type of look back video would be a great way to show appreciation and recognition to the worker. The same is true for tenured employees. It’s important for companies to show workers that they care…just because. It doesn’t always have to be because the employee made a sale or met a goal; sometimes it’s good to just remind workers that you appreciate everything they do day-in and day-out. If someone has been with your company for a very long time, why not invest time back into this person by making a short video of his/her tenure? This makes me think about my friend who worked at a company for 29 years. Although her department threw her a small get together to celebrate this achievement, a Look Back video similar to Facebook’s concept would have been the icing on the cake because the visual trip down memory lane would have also served as a keepsake. I think these types of videos are a great addition to any engagement and recognition arsenal because they can also serve as a reminder for employees. It always helps to reflect on your life and see how far you’ve come. These videos can show workers just how much they’ve progressed professionally—or even show them what areas and goals they may still need to work on. A final reason why I think adopting Facebook’s Look Back concept is beneficial for companies is because it promotes inclusion. Whether at work or in life, we all want to feel accepted and like we belong. Creating these personalized videos will not only recognize employees’ accomplishments, but help make them feel a part of the team, which is one of the main purposes of any recognition scheme. It’s been amazing to see how all of you have used our tools to build a real community. You’ve shared the happy moments and the painful ones. You’ve started new families, and kept spread out families connected. You’ve created new services and built small businesses. You’ve helped each other in so many ways. I’m so grateful to be able to help build these tools for you. I feel a deep responsibility to make the most of my time here and serve you the best I can. Thank you for letting me be a part of this journey. A personalized video and note from the company CEO? Now that would certainly make any employee feel recognized, included and appreciated.